The Galapagos giant tortoise is so big that it’s started to overshadow all that’s great about its home islands. Not that the rep is undeserved — this chain of volcanic islands about 600 miles off the coast of Ecuador in the Pacific Ocean is the only place you’ll see these big guys in the wild. And they’re definitely worth seeing, if for no other reason than to appreciate the effort it took to bring them back. But there’s a lot more to a place so abundant in biodiversity Charles Darwin anchored much of his theories to what he found here. We took a trip down to the Galapagos Islands with Intrepid Travel, which runs a number of different in-depth, highly localized adventures to the islands, and found that from swimming with penguins to hiking volcanoes to drinking craft beer on the beach, the Galapagos makes for one of the most unusual and naturally impressive vacations in the world. 1. Stroll and swim with iguanas and sea lions. 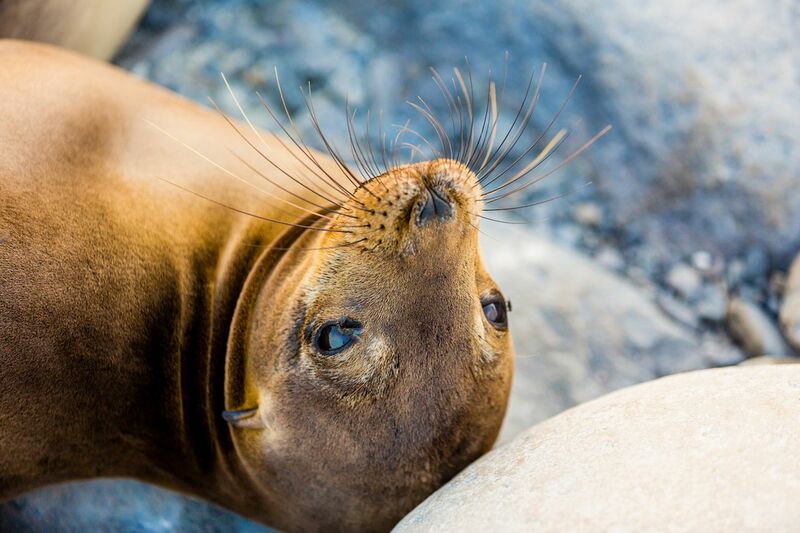 The most unique part of the Galapagos Islands is their abundance of wildlife — and how close animals will get to you. Because the entire archipelago is a national park, animals haven’t experienced human harassment and have absolutely no fear. So you’ll find yourself stepping over wild sea lions on the street like they were passed out drunks from the night before. Or eating lunch by the beach as a black and red marine iguana wanders up looking for scraps like a stray cat. In the water, the story is the same. My first day I snorkeled along a beach called La Loberia on the island of San Cristobal, where I found myself following sea lions and massive sea turtles for an entire afternoon. Later on the island of Floreana, we reached an empty cove where we sped around with brightly colored marine iguanas, turtles, and even a handful of Galapagos penguins. 2. Watch blue-footed boobies and other rare birds. Darwin’s most famous Galapagos observation involved finches that evolved with different beaks to survive the varying terrain of the different islands. But they’re far from the only birds here. The electric-blue features of the blue-footed booby are probably the most noticeable, with over a third of the world’s population living here. You’ll also see Earth’s biggest colony of red-footed boobies, as well as the largest concentration of Nazca boobies. Even if you’d rather fight crowds at Costco on a Saturday than go birding, it’s hard not to be impressed by great and magnificent frigate birds; those are the species names, not just adjectives, and their wingspans can reach over seven feet. 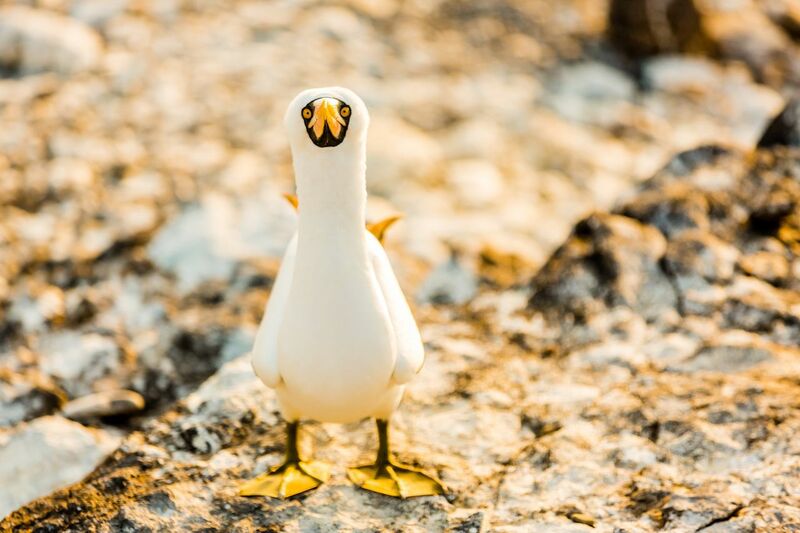 You’ll also find albatross that learn to fly in the Galapagos then don’t return to land for years, as well as herons, egrets, and massive Galapagos hawks. 3. Sip craft beer with a view of the ocean. Yes, the spectacular nature and friendly animals are nice, but after a full day out in the sun taking iguana selfies, sometimes you just wanna relax with a cold beer. 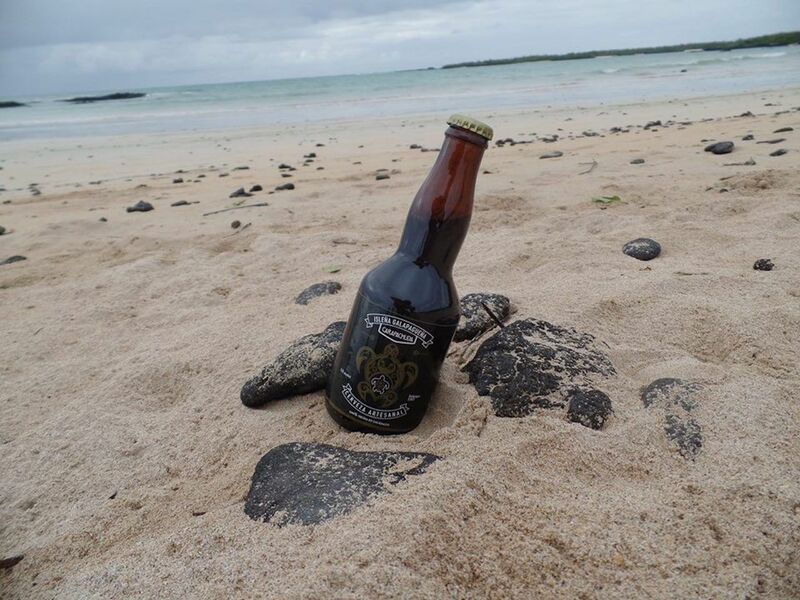 Like the rest of the world, the Galapagos is fully onboard the craft beer train, and you can grab a local Endemic lager at most stores and seaside bars for $5. It has a sort of sweet, wheaty taste, not unlike Iron City, and pairs well with pizza. But if you’re jonesing for Giant Jenga and IPA flights, the Galapagos has that too. Right along the main drag in the islands’ largest city, Santa Cruz, you’ll find its namesake Santa Cruz Brewery, a two-story brewhouse where you can sample island-made craft beer, then take it out onto balconies that overlook Charles Darwin Avenue and the Pacific Ocean. 4. Hike to the top of a volcano. The Galapagos are all volcanic islands, formed millions of years apart and slowly sinking into the ocean. And many volcanoes on the islands are still active. On Isla Isabela, you’ll find five volcanoes including Volcan Wolf, the highest point in the islands, and Sierra Negra, the most recent to erupt last July. Hike a couple miles and you can stand at the top of its caldera, peering into the still-steaming bottom where the river of lava flowed. The view across the caldera is a spectacular landscape of black rock and rising steam stretching to the horizon. 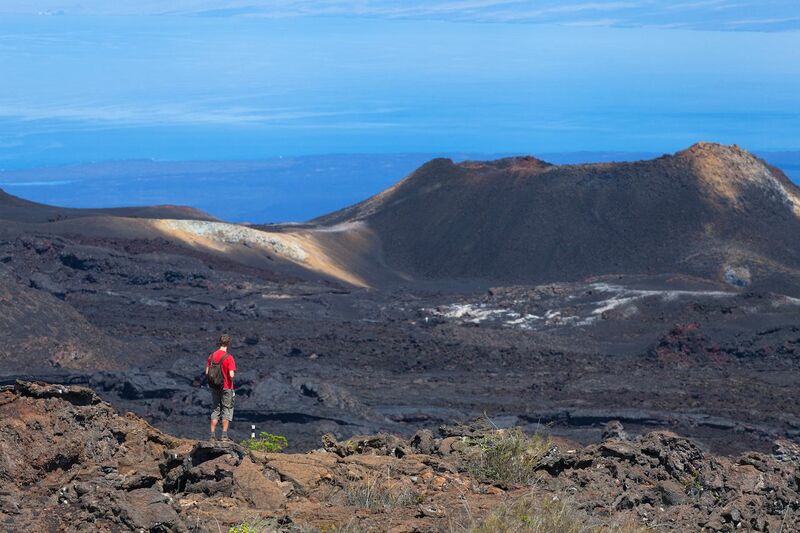 A hike along the rim gives you multiple viewpoints of the geography before branching off into a steep walk through lava fields to the tops of some smaller volcanoes. Those calderas are filled with rock that shines bright red, purple, blue, and even green at times from the minerals that lie within. 5. Sample some of the best coffee in the world. Equatorial countries are never lacking when it comes to java, and on these tiny islands, you’ll find some absolutely spectacular coffee. Even the basic drip coffee in the hotels is good, but stroll along Charles Darwin Avenue in Santa Cruz and you’ll find tiny coffee shops doing gourmet pour overs and coffee-based cocktails. One of the biggest is OMG Galapagos; you’ll forgive the name when you taste the coffee and take a picture with the statue of Darwin drinking coffee in the courtyard. 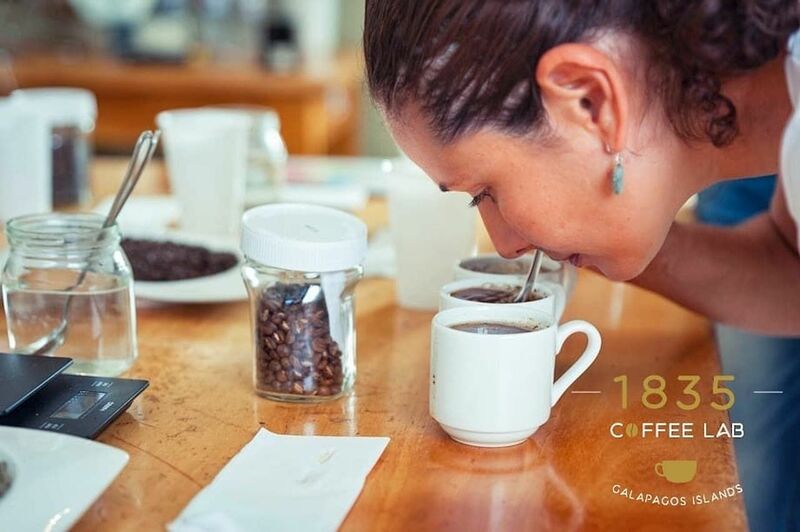 Right across the street, you’ll find the 1835 Coffee Lab, which sells its coffee all over town in souvenir shops but is best experienced in pour over. The baristas will let you smell the beans from jars on the counter, then custom-make each cup. 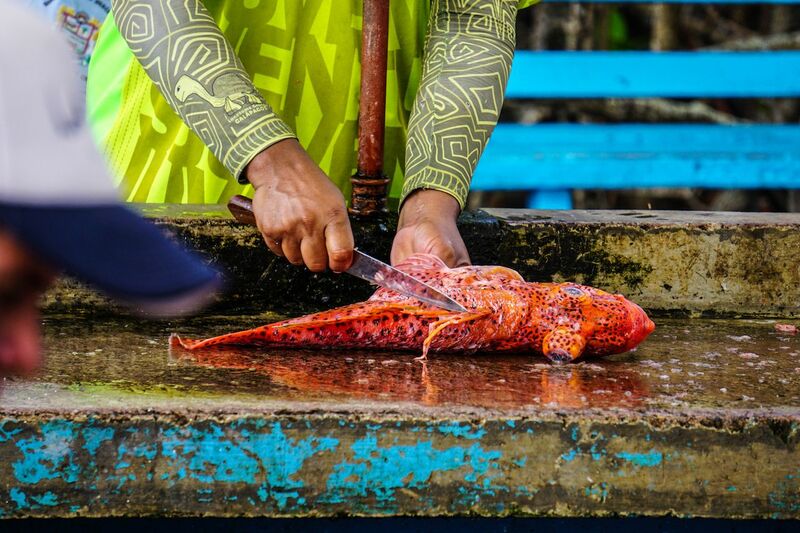 It’s not a quick experience, but in the islands all you have is time. 6. 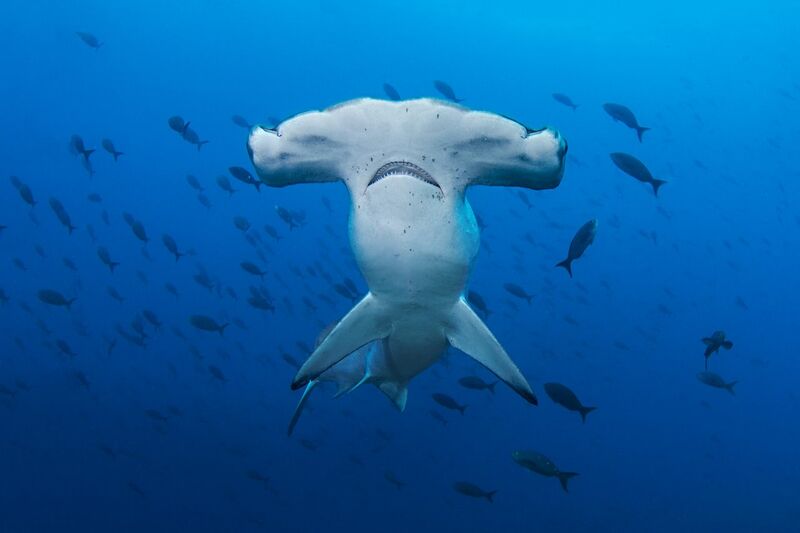 Dive with hammerhead sharks. Though surface-swelling travelers might not know it, the Galapagos Islands are right up there with the Great Barrier Reef and the Maldives as lifelong dreams for experienced divers. So if you’re not certified, it may be worth getting that done if you’re making a trip to the islands. In addition to the aforementioned marine iguanas, penguins, turtles, and sea lions, the Galapagos is also a prime place to swim with hammerhead sharks. Though not the rarest sharks in the world, they are some of the most unusual, and even after nearly 20 years of diving, the afternoon I spent swimming among schools of them was the coolest thing I’ve ever done underwater. The same day we also saw dolphins swimming in a different spot, manta rays, eagle rays, and plenty of colorful fish. While the wildlife above the surface is unique, getting below the water is the best way to appreciate the other half of the Galapagos’s stunning biodiversity. 7. Kayak through untouched nature. 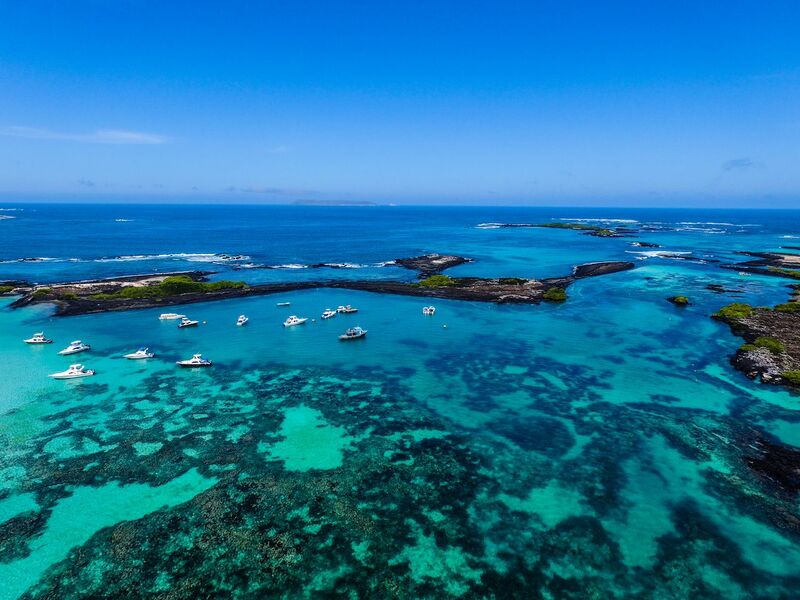 Though the waters in between the Galapagos Islands can be treacherous, each island features bays and coves where the water is still, and you can easily paddle a sea kayak along the untouched coastline. On a particularly hot and sunny afternoon our group took kayaks through Tortuga Bay where, yes, there were turtles. But also an empty white-sand beach with red marine iguanas and sea lions lounging around. And when we needed to cool off, the shoreline had plenty of mangrove forests to go explore and enjoy the shade. 8. Relax with a drink on a perfect and empty beach. The beach at Tortuga Bay wasn’t the only mostly deserted beach in the Galapagos. 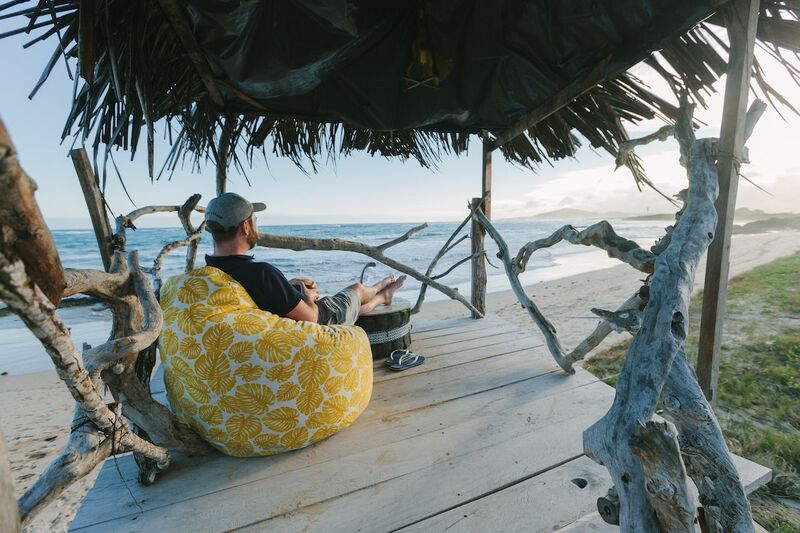 On the island of Floreana — population 100 — you’ll find large stretches of black-sand beach with views out to the nearby islands on a clear day. On Isla Isabela, you can bum around the long stretches of white-sand beach with nothing but volcanoes behind you. Here you’ll also find a strip of bars along the sand full of hammocks, volleyball nets, and some of the grandest sunsets in the world. Drinks aren’t cheap, like you might find at similar spots in Central or South America, but they are fully worth the price to send pictures to your friends back home of your life in this tropical paradise. 9. Eat the freshest seafood in South America. Bold statement, yes, but the fish market along Charles Darwin Avenue in Santa Cruz isn’t just a creative way of making the tourist drag smell “authentic.” It’s literally where the restaurants lining said tourist drag get all their seafood from the fisherman arriving after a long morning on the water. The nightly specials change based on what comes in, but the lobster is a can’t-miss and will be available almost every night. The ceviches are also phenomenal, each one tasting clean, fresh, and cold, perfect for lunch under the hot equatorial sun. 10. Send a postcard from the world’s most unusual post office — and bring one home in return. 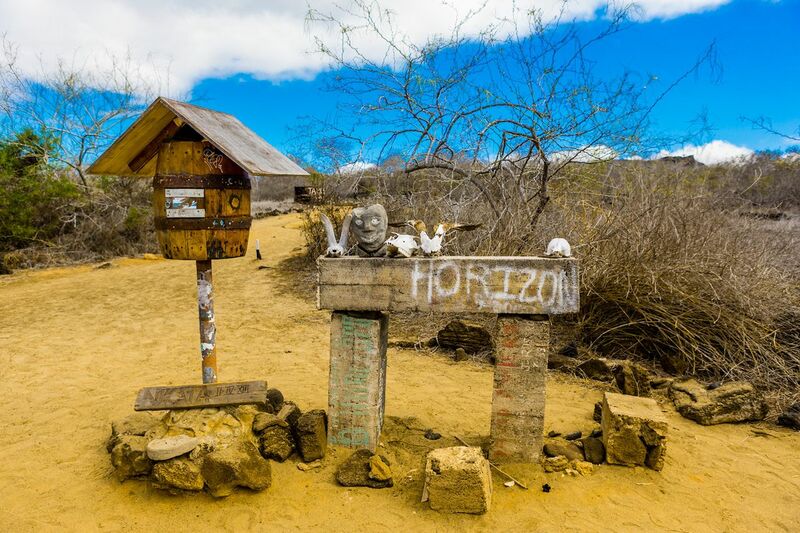 Along the lava caves and black-sand beaches of Floreana, you’ll find Post Office Bay, a ramshackle collection of signs around a heavily decorated barrel that’s been distributing mail for nearly 200 years. The barrel — or an earlier incarnation of it — was started by whalers who would leave mail at this remote spot for sailors to pick up and deliver to their families around the early 1800s. Today, it’s home to literally thousands of postcards addressed to people around the world. Stop in and leave one of your own, then search the inventory to see if one might be addressed to someone near you. It’s a system just begging for a romantic-comedy plot and doesn’t even require a stamp.